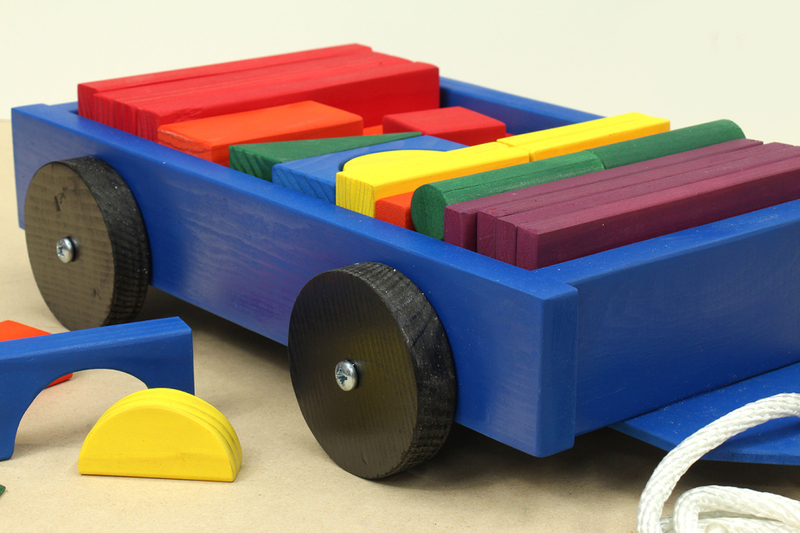 These fun toys are hand made from old and new wood that I have re-sawn to allow children to learn as they have fun. 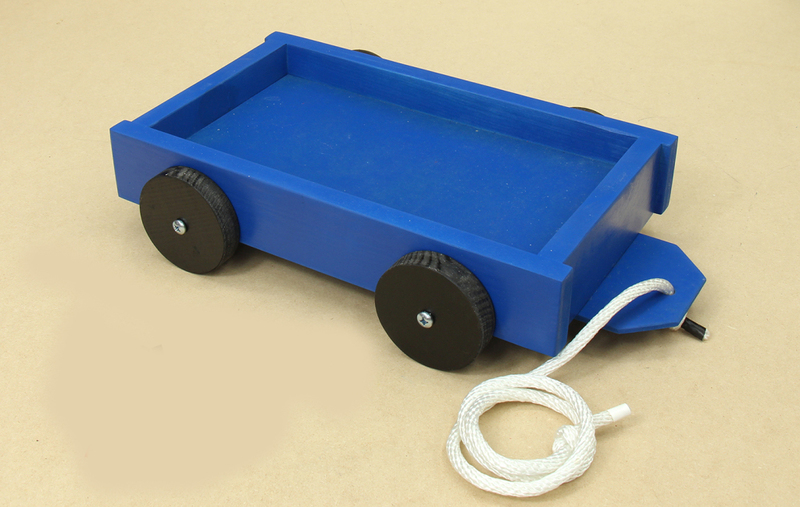 The wagon can be pulled by the rope as the wheels turn. 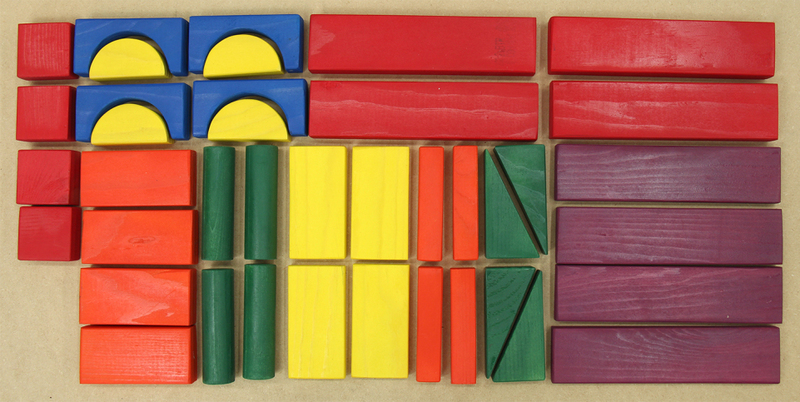 The blocks only fit in a certain way or two, so the little tykes learn how to arrange them and also about their colors. I try to smooth all edges and paint them with paint that is harmless when dry. Try to find these at your neighborhood Walmart or Ikea store. If you find anything remotely like them, they will be made in China at a factory, and cost more in most cases. 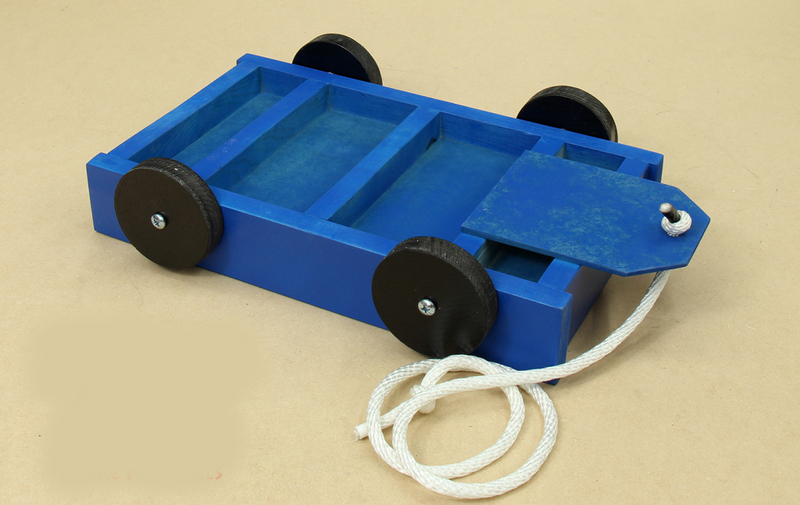 They measure 8 3/4″ wide by 15 1/4″ long, and the wheels are 3 1/2″. The rope is about 3 feet long, but you can cut it to any length you choose. This is a toy that can be handed down for generations. This is a sample of some of the blocks and dowels that I use, depending on what materials I find to make them. The colors may vary also due to the different color paints I might find.